Interwoven with a Kevlar liner and stainless steel for maximum cut resistance. 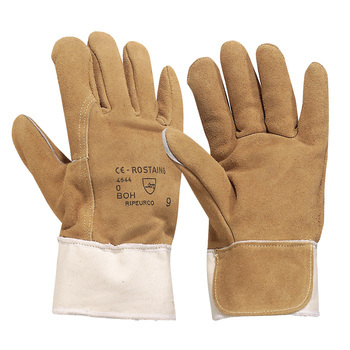 The lining together with the outer leather layer provides the glove with a very strong support base against puncture penetrations. The leather provides excellent resistance to oily/greasy/wet surfaces. Gardening when using thorns, barbed wire, sewage use, rubbish collection etc.